Most of today was spent on my daughter’s Halloween costume. 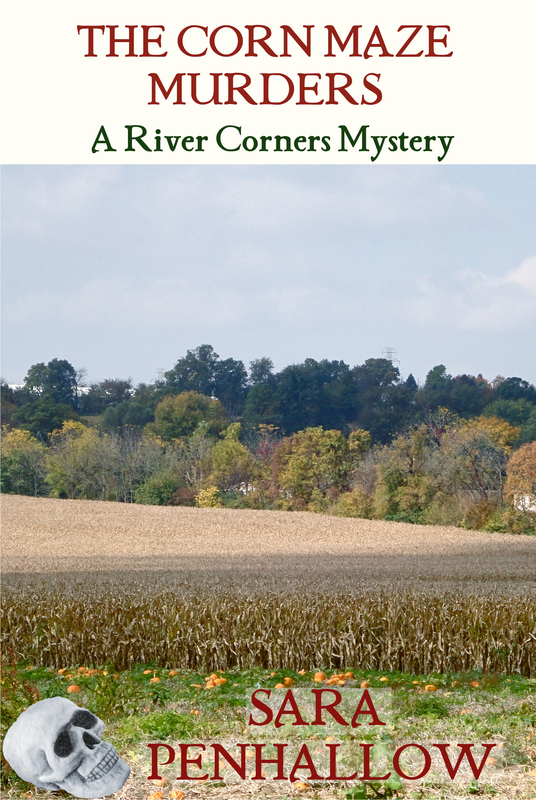 still more work to go, but I think it’s coming along nicely. Might be done already if she and I hadn’t both decided on alterations to the pattern (she wants appliqué; I think pockets would be good). So no words today. Likely none before Saturday. It’s that sort of week. 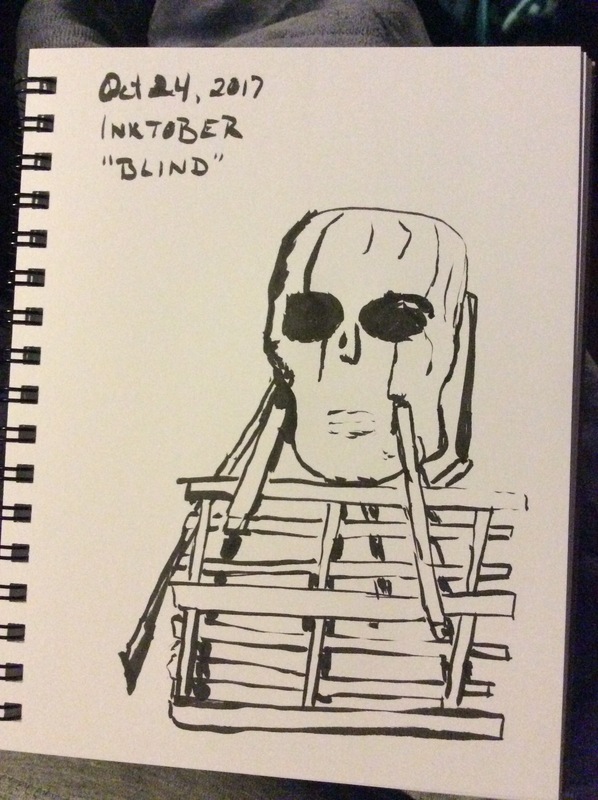 Today’s Inktober prompt was “blind.” This skull sculpture (“Ancient Fishing” by Jim Dine) sits outside the Chazen Museum of Art. I don’t remember that. Good thing I had a guide with me! 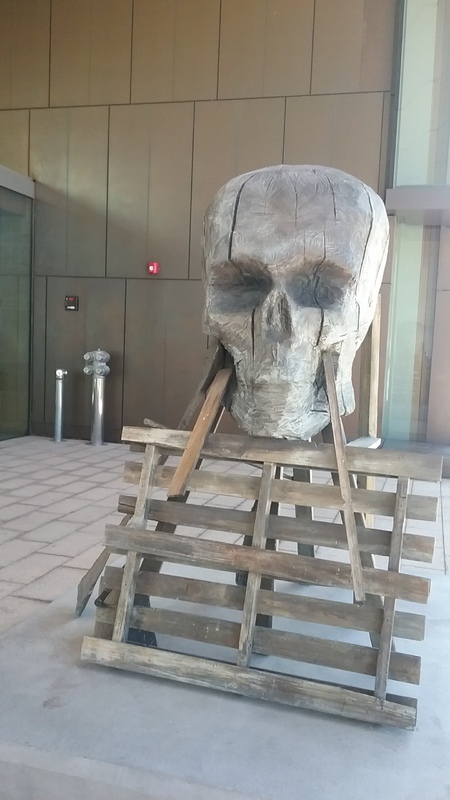 There was a similar skull inside, with a wagon. Looking online, I discovered that Jim Dine donated 67 artworks to the museum a few years back.